Water is an important resource and we need to be smart about how we use it. Metering large use water connections helps us to encourage smart water use in the District. Water meters are fitted to some properties in township areas, normally on larger sections, or commercial water users. Meters are read in May, August, November and February of each year. 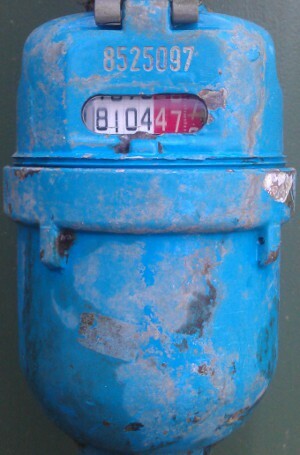 Some high volume users in CHB have their water meters read and the "volume used" invoiced monthly. This particular service is available on application to the Utilities Dept. Water connections from the Council main to and including the toby and/or meter manifold must be installed by a contractor approved by Council for the installation of water connections, at the applicants expense. See the Related Pages section below for links to forms. The first 300m³ (300,000 litres) will be included as part of your water rates. If you use less than 300m³ per year, your water rates will cover all costs and there will be no further charges. If you use more than 300m3, you will be invoiced on a user-pays basis at the rate of $2.35 / m3 (including GST). If your property has a water meter please keep an eye on the amount of water that you use, because the property owner is responsible for all of the water that goes through the water meter. We recommend that you read your water regularly, as a guide normal household usage should be about 25 m3 (approx 800 L/Day) of water per month, but activities like irrigating the garden can dramatically increase your water usage as can leaky pipes, taps and stock troughs. If you suspect you have a leak; a quick check is to turn off all of your taps and look at the meter. If the meter is still moving you may have a leak, contact your plumber to get the leak fixed.